Sen. John McCain is planning to shift the CIA’s secretive drone program to the Defense Department through the National Defense Authorization Act, setting the stage for a fight later this year with Senate Intelligence leaders and making him an unlikely ally of President Barack Obama. The Arizona Republican has been particularly critical of the program under the CIA’s watch following recent revelations that a drone strike in January in Pakistan killed American aid worker Warren Weinstein and Italian aid worker Giovanni Lo Porto. "We&apos;ll be looking at some kind of legislation on the defense authorization bill to see that that accelerates," McCain said. "I&apos;m the chairman of the Armed Services Committee. We will be doing something in the NDAA." New Press Secretary Josh Earnest defended the earlier decision not to release the memo to the public. Two Senate Democrats want the public to know more about the rules behind the targeted killing of American citizens using drones. "I believe every American has the right to know when their government believes it is allowed to kill them, and the public release of this memo is a positive step toward reducing the secrecy that surrounds this question," Sen. Ron Wyden said in a statement. 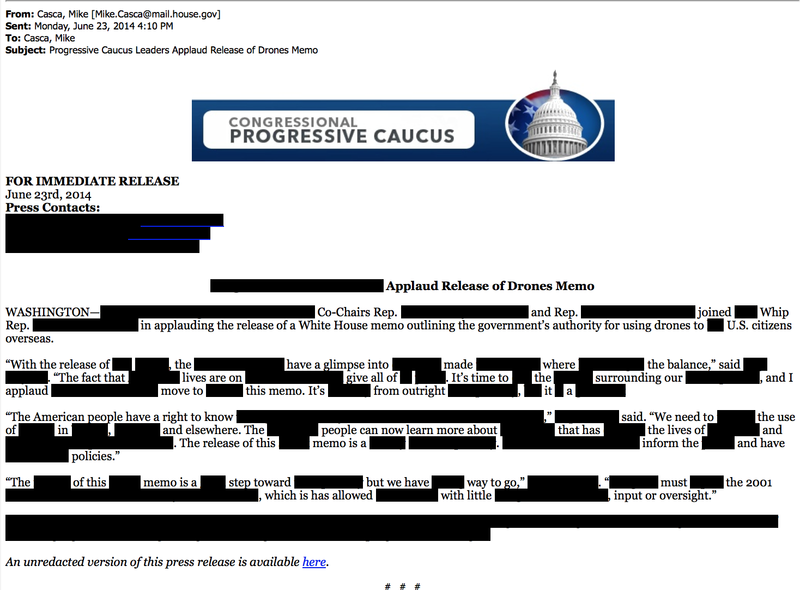 "However, there are many important questions that this memo does not address." Updated 3:15 p.m. | Sen. Rand Paul wore comfortable shoes to work today, but it doesn&apos;t look like he&apos;s going to hold the floor for hours. The Kentucky Republican told a small cadre of reporters gathered just off the Senate floor following a 31-minute speech contesting the Obama administration&apos;s use of drones for targeted killings of Americans that he didn&apos;t think he could stall confirmation of David J. Barron to be a First Circuit appeals court judge. Updated 5:50 p.m. | The Senate&apos;s set to vote next week on a federal appeals court nominee who played a key role in the Obama administrations&apos;s drone policy. Senate Majority Leader Harry Reid, D-Nev., filed cloture to break an expected filibuster of the judicial nomination of David J. Barron, whose authorship of the secret memos backing the president&apos;s drone policy have brought controversy. Senators could soon face a vote on Harvard Law Professor David J. Barron — the author of legal opinions backing the Obama administration&apos;s drone policy — to be a federal appeals court judge. "I&apos;m going to try to do it soon," Senate Majority Leader Harry Reid said Tuesday. "We got some complaints yesterday, people hadn&apos;t had the time to go downstairs and spend a half hour reading the memos. So I&apos;m sure that they, if they need more time, we&apos;ll get &apos;em more time." The White House is letting senators view a classified drone memo justifying the killing of Anwar al-Awlaki, Niels Lesniewski reports. But the public won&apos;t get the same opportunity. 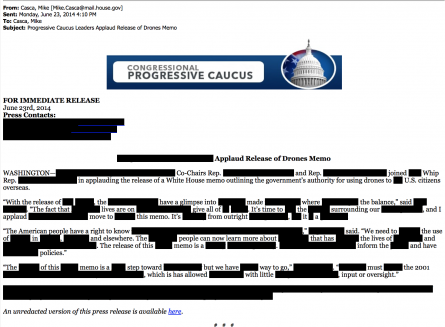 The White House told Niels that the memo would only be viewable in a classified setting. Updated 12:44 p.m. | If Harvard Law Professor David J. Barron fails to win confirmation as a federal appeals court judge, it won&apos;t be because he was "blocked" by Sen. Rand Paul. If Barron doesn&apos;t make it to the bench, it will likely be because Democrats have unease about the legal justifications for drone strikes. In a post-nuclear-option world, Republicans can send letters talking about blocking or delaying nominees but their practical impact is nil.